Featured PKC Client: Brian & Karen Zecchinelli, owners of The Wayside Restaurant, Bakery & Creamery in Montpelier, VT. Need help putting your restaurant on the map? We help grow your restaurant business to its full potential. 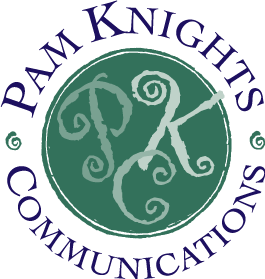 From brand development and strategic marketing plans, to distinctive print and digital marketing tools, email marketing and effective PR, Pam Knights Communications helps you increase and retain your customer base, garner more positive reviews, and make headlines! is a Recipe for Success! The Inn at Weathersfield, The Three Penny Taproom, Saap Restaurant, and the Wayside Restaurant, along with Vibes Gourmet Burgers in NH. before diving into digital advertising and social media campaigns. 2018 marked the Wayside Restaurant, Bakery & Creamery’s 100th year in continuous operation. PKC worked with owners Brian and Karen Galfetti Zecchinelli to create a PR campaign that yielded extensive print, radio and TV coverage across the country– helping to put the Wayside firmly on the map, as it celebrates its 101st year, serving approximately 1000 meals per day, seven days a week! See a pdf of the media coverage they received.